Self-made technology billionaire Tej Kohli just announced a pretty big move into esports – a €50 million investment outreach to support esports in Europe. 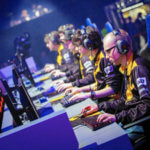 After Asia and North America, Europe has one of the largest esports markets in the world, and while it is steadily growing, its expansion lags far behind the top regions. Kohli’s investment arm will be called Rewired GG, and will, unsurprisingly, be part of the the venture studio Rewired. Rewired invests in start-up firms, usually of AI or robot products or services. Kohli is the lead backer of the studio. At the moment, details are still quite vague, however Rewired has an explicit goal for this new investment arm: “To build a world-class esports team, as well as develop individual players, games and commercial opportunities”. Kohli’s move isn’t unprompted – we have his son to thank for it, actually. Sean Kohli is a keen League of Legends and Fortnite player, and even frequently watches the NA LCS. He introduced his father to the booming industry – apparently with enough conviction to make him invest a cool € 50 million. His ambition for Europe’s esports scene is certainly, well, ambitious, but it’s also pretty exciting, especially for European fans. Ever caught between Asia and America when it comes to competitions, events, coverage and more, Kohli could give European esports the boost it needs in order to compete with other parts of the world. The €50 million are so far ‘only’ the initial investment – there is always room for more later. It’s a definitive opening statement though, and a clear statement of intent as well. There are plenty of teams, players and interested fans in Europe of course, yet often the area is passed over in favour of other places. The investment isn’t completely earmarked towards a particular purpose just yet. Since this may well be the largest single investment European esports have ever had, there are many eyes on the whole process. French esports organisation Team Vitality has already received €20 from Rewired GG, in order to equip and form training centres, a store and more. Team Vitality which has only recently entered CS:GO and earned a spot in the LEC is definitely a good choice when it comes to supporting European esports teams – not that there aren’t many other great teams too, of course! Either way, this move from Kohli is a huge step for esports in Europe and a milestone in esports history.